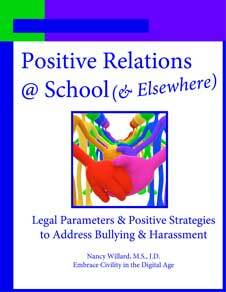 In the preface to her new book, Positive Relations @School (& Elsewhere), author and risk-prevention educator Nancy Willard tells of a conversation with a very smart 5th grader in a dance class waiting room . She was explaining to another parent why a "rules and punishment" approach to dealing with bullying wasn't working for schools, when this other person in the waiting room piped up. "Of course it's not working," Willard quotes the 5th grader as saying. "They tell you bullying is against the rules, but kids bully when adults aren't watching. And they tell you to tell an adult. But if you do, the other kids will consider you a loser and the bully will get back at you." * Why kids get bullied: Targeted kids "are usually a bit different," the 5th-grader said, "but it is more than that. They are more scared and don't know how to stand up for themselves'," she explained. Listen to this, people, it's pretty much what the academic research is showing. * Why kids bully: "Sometimes they are doing this because they want to prove they are cool and all that," she responded. 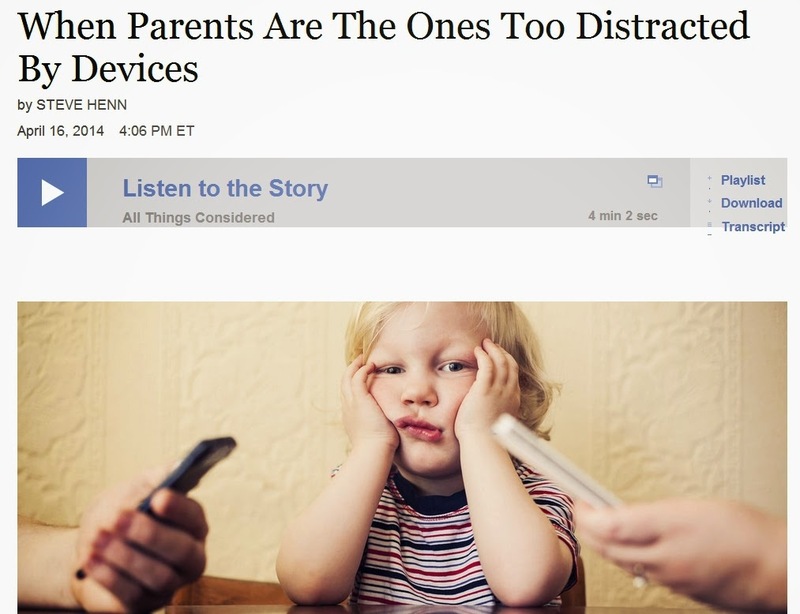 "But other times they are kids who have lots of other problems, like they have a hard time learning and concentrating. They are angry kids." * About being an upstander: "Do you ever try to help kids who are being bullied?" Willard asked. "Well, I want to," she said. "But it is dangerous. Cool kids will just get with a bunch of their friends and spread nasty rumors about you. The angry kids could get into a fight with you. So usually I try to be friendly to the kid being picked on some other time. But I don't say anything to the bully, even thought I want." * About reporting the problem: "Would you ever tell an adult if you saw someone being bullied?" "Not usually," [the 5th-grader] responded. "Adults just make things worse." This 11-year-old is smart but certainly not alone. "There are brilliant, kind, and caring young people in every school who can explain to school leadership and staff what is and isn’t working to reduce bullying and limit its harmful effects in their schools," Willard writes. That was certainly true of the high school student leaders from Michigan, Illinois, West Virginia and the Washington, D.C., area ConnectSafely.org brought to Washington for Safer Internet Day two months ago. See their conversation about their experiences with bullying and harassment – and helping their peers deal with these challenges – during a panel discussion here  (starting under the subhead "What advice would you give to someone who was harassed?"). Willard argues in her blog that schools need students to help them "better create a culture of kindness and respect" . "The problem is that the 20th-century adult-control approach to bullying [and cyberbullying] prevention which includes rules against bullying, increased supervision, telling students to tell an adult, and punishing the 'bully,' will never be effective," Willard writes in her book's Introduction, because "most bullying is motivated by a desire to achieve social dominance among peers," schools don't make the rules for environments for student interaction such as Web sites and apps, "school staff are not present in [those] environments," students "often fail to report digital abuse, and punishment can lead to anonymous, widespread digital retaliation involving participants outside of the authority of the school." She adds that "there is also no agreement on what bullying is," citing four views on that: those of researchers, school administrators, state laws/lawmakers and students. "Academics say bullying is repeated intentional hurtful behavior where there is an imbalance of power," she writes. "Educators are taught the academic definition, but principals have to enforce the statutory definition, while surveys measure something else…. Then there are the 49 different state statutory definitions." As for students, "most surveys just ask students if someone was hurtful to them." Students' perspective must be part of developing policy and actions for bullying prevention. Willard cites a March 2012 consent decree that the U.S. Departments of Education and Justice entered into with Minnesota's largest school district, Anoka-Hennepin, to resolve a lawsuit over gender-based harassment. Student participation and leadership was an important part of it. In their press release, the two departments wrote that they "are especially grateful to the courageous students who came forward in this case and provided invaluable insights that strengthened the Decree. It explicitly provides opportunities for student participation [and leadership] in the District’s ongoing anti-harassment efforts" . Willard details the student participation requirements in her blog post. Positive Relations @ School (& Elsewhere) offers schools (and parents) valuable legal and historical context on bullying, laws addressing it, free speech, off-campus speech – as well as a myriad supporting resources and, in Appendix B, a detailed action plan for reducing "all forms of peer aggression." The book also proposes a needed shift of focus away from punishing "bullies" to involving all members of a school community in co-creating a positive, respectful school climate. * That was for schools. This is Nancy Willard's 26-page downloadable PDF "Empowerment Guide" for parents and kids dealing with bullying . See also ConnectSafely.org's "Parents Guide to Cyberbullying" . * "Stop using the word 'bullying' in school, researchers say"
Vulger "Cape Whoral" Twitter account raises concerns: The most recent account, "Cape Whoral," promises to call out "the dirt" on different Cape Coral girls. Tweets tell you to direct message the account with your gossip. Posts mentioned Island Coast, Mariner and Cape Coral high schools.